Ruger recently announced the introductions of its newest Custom Shop gun, the 10/22 Competition Rifle. Moreover, the 10/22 marks the third firearm to come out of Ruger’s newly minted Custom Shop line. 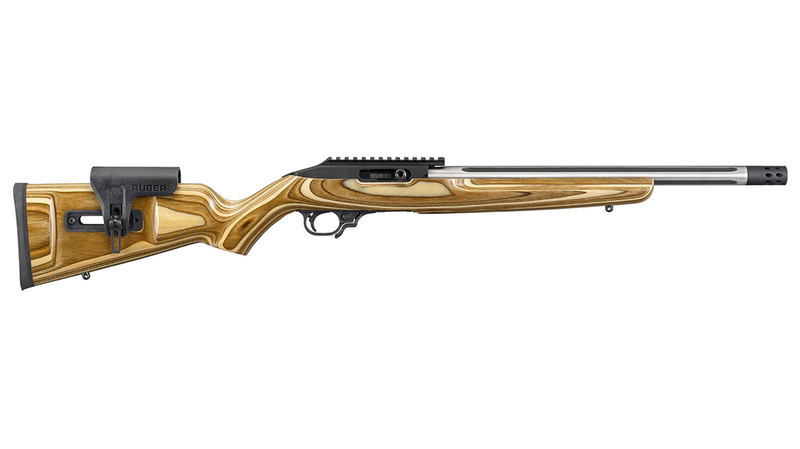 The 10/22 Competition Rifle features a brown laminate stock and stainless steel barrel. The rifle utilizes a hard-coat anodized, CNC-machined, heat treated and stress relieved 6061-T6511 aluminum receiver, according to Ruger. 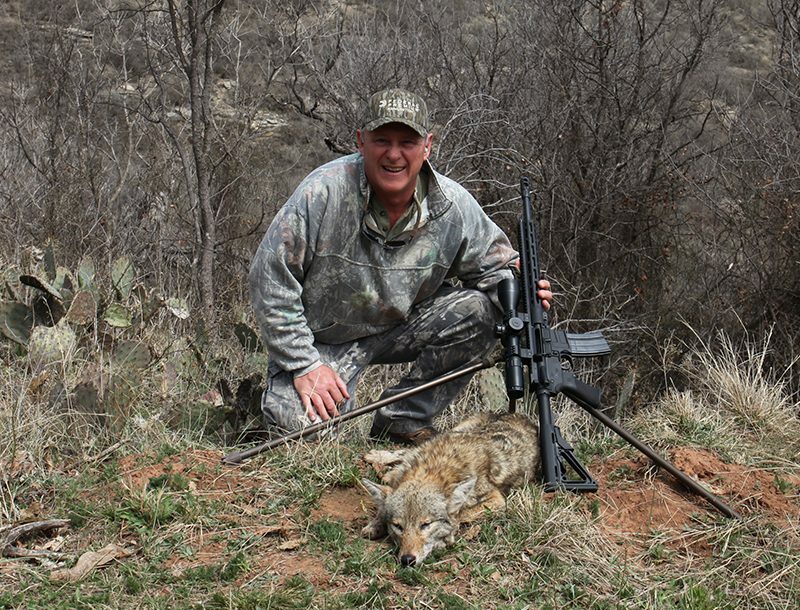 Additionally, the receiver sports an integral, optics-ready 30 MOA Picatinny rail. Further, the custom receiver pairs with a heat treated and nitrided CNC-machined match bolt for a tight-fitting, smooth action, according to Ruger. The rifle’s dual bedding system incorporates a second bedding lug, providing a secure bedding to the stock. 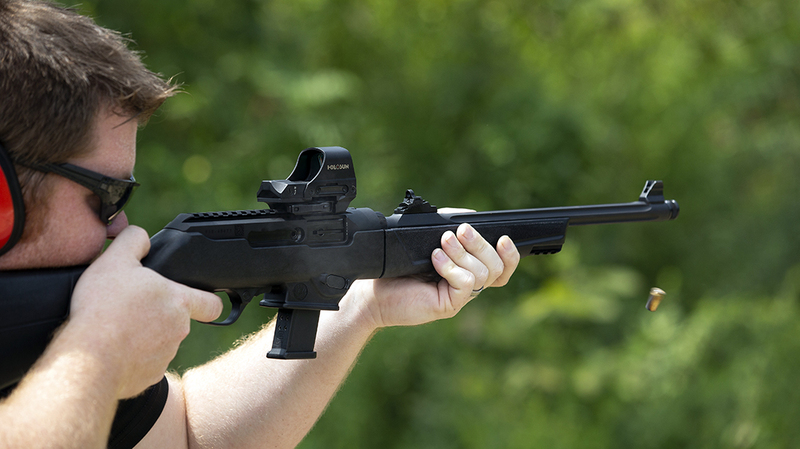 The rifle also includes a second barrel locator to provide a free-floating barrel, which aids in accuracy, according to Ruger. Also, the receiver incorporates a rear cleaning port, providing access to the barrel from the receiver’s rear. The 16 1/8-inch stainless steel bull barrel features black cerakote accents and is fluted to reduce weight and dissipate heat. 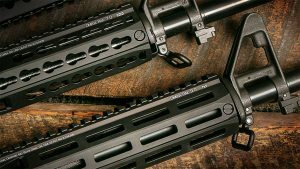 A threaded barrel accommodates an included muzzle brake or aftermarket add-ons. Also, the barrel features a proprietary, enhanced semi-auto chamber to increase accuracy without sacrificing reliable feeding and extraction, according to Ruger. The natural brown laminate stock features a fully adjustable cheek rest. Moreover, the rest features adjustability both horizontally and vertically to create a custom-adjusted feel that is stable, comfortable and repeatable, according to Ruger. The Custom Shop 10/22 Competition Rifle also includes Ruger’s popular BX-Trigger. Additionally, the BX-Trigger provides a smooth take-up and crisp break, according to Ruger. Also, an oversized bolt handle, match bolt release and an extended, ambidextrous magazine release complete this competition-ready package. 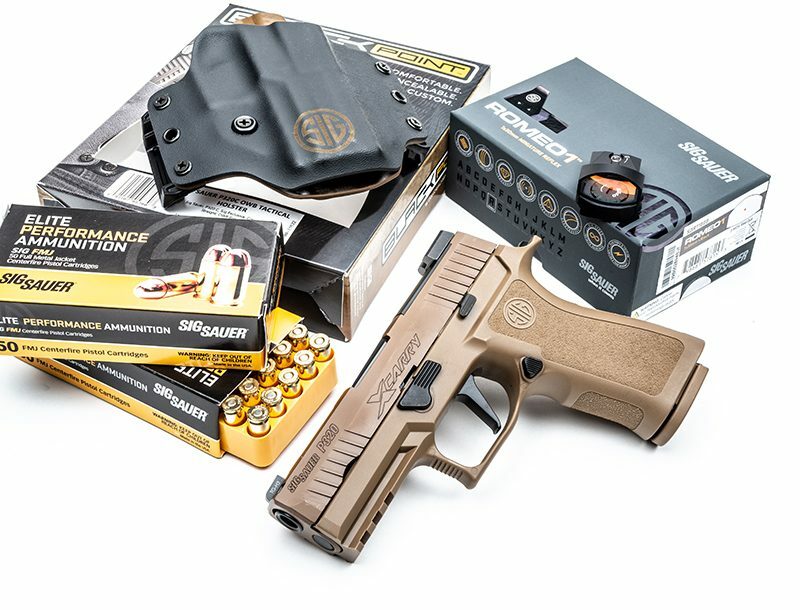 Finally, the rifle includes several extras including a detachable 10-round magazine, Ruger Custom Shop Certificate of Authenticity, challenge coin, cleaning coin and decal, according to Ruger.